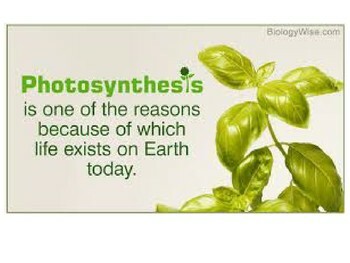 Students will create a poster related to photosynthesis. 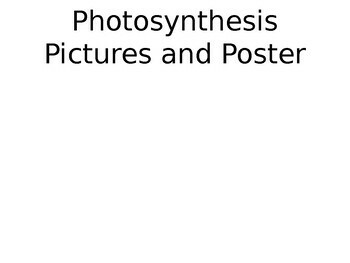 Each student will select a picture and explain how it is related to photosynthesis. 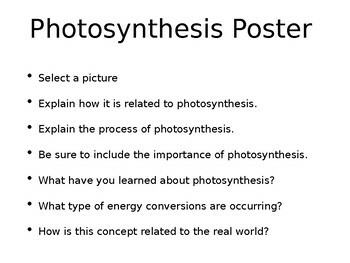 Students are required to explain the process of photosynthesis, the importance of photosynthesis, what they have learned about photosynthesis, the type of energy conversions, and how photosynthesis is related to the real world. My students enjoyed this poster and it was a great formative assessment. 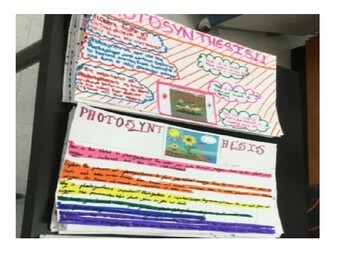 Students are expected to be creative and elaborate. Giving the students an opportunity to select their picture helped with their "buy in".